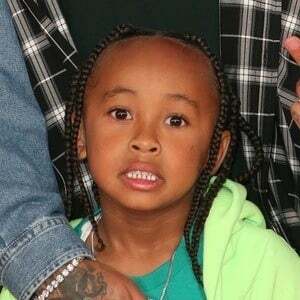 Weighing just over seven pounds, this first child of rapper Tyga (Michael Ray Nguyen-Stevenson) and Miami model Blac Chyna was born in late 2012. In March of 2012, his parents were photographed for the cover of Urban Ink Magazine, at which point there were rumors that his mother was expecting. On the day of his birth, his father became the owner of a nearly-seven-million-dollar property in Calabasas, California. His father, Tyga, grew up in the Los Angeles area in a family of Jamaican and Vietnamese heritage. His parents met in October of 2011 at a post-show party for singer Chris Brown that was held at the King of Diamonds club in Miami, Florida.